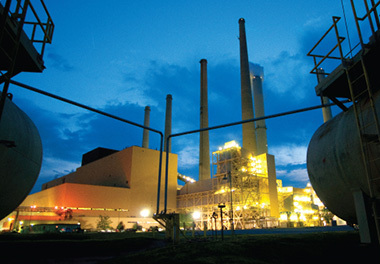 The East Kentucky Power Cooperative Company (EKPC) is an electric utility company, generating and transmitting wholesale energy to sixteen owner-member cooperatives, who then distribute that energy to more than 1 million Kentucky citizens across 87 counties. Hatzel & Buehler, Inc. was chosen as EKPC’s Large Electrical Contractor to perform routine electrical projects at their Spurlock Station in Maysville, Kentucky. This contract will cover all large electrical projects performed on site for the next three years (with the option for a mutually agreeable two year extension). Hatzel & Buehler, Inc. has been on site for the last nine years, during which time we have performed both day-to-day work, as well as large project work.